Here is a bad news for non-vegetarians. 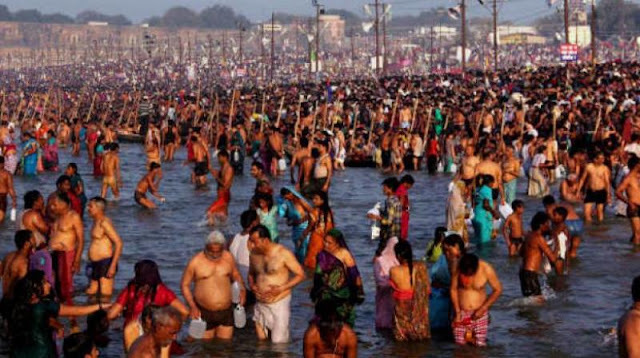 The Vijayawada Municipal Corporation has imposed a ban on sale of meat, including seafood and slaughtering of animals, starting from August 9 to August 25 in view of Krishna Pushkarams. Sale of dishes made out of meat is also banned in restaurants, hotels and other eateries. Authorities stated that in the interest of public health of crores of people visiting the city, the ban has been imposed. No meat shops should be opened during the said period and also slaughtering of animals must be strictly avoided, officials said. Also, the Municipal Corporation’s slaughter house which certifies meat will also be closed down. Strict action as per the law will be taken against violators, authorities warned. However, officials are still clueless over imposing ban in star hotels and outlets such as KFC. “All meat shops and restaurants come under this ban. But star hotels supposedly have a special provision allowing them to serve. We will hold a meeting with owners of star hotels and other restaurants in a couple of days and appeal them to not serve non vegetarian dishes”, Chief Medical and Health Officer G. Gopi Naik told The Hindu . Meanwhile, liquor will be available all over the city except in the shops that are located within 500 metres radius to ghats and Pushkar Nagars. VMC also banned usage of plastic covers with thickness less than 50 microns in the city in view of Pushkarams.